Fancy viewing and ticking items off a checklist without opening the cards? We've just released a fantastic Power-up, that makes this possible. Enable it for your board to make the use of Kanban Tool easier and more fun. This feature needs to be enabled in your board's Settings - Power-Ups. It offers detailed customization of when and how the checklists will be expanding. 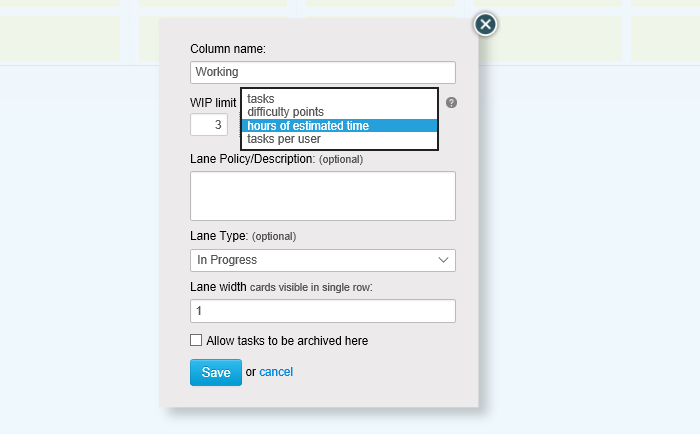 You can either have them roll-out for tasks in all work stages, or just the "in progress" types of columns. It is also up to you which items should appear in the preview: all, just the incomplete ones or just the first one that needs doing. You can read more about this here. We've also made a small improvement to WIP limits - it's now possible to limit the amount of Work in Progress by hours of estimated time for work completion. So, if you're using the Estimated Time fields, the "Working" column can be set to only accept - for instance - 8 hours worth of tasks. This is great for controlling how much time is spent on which items as well as for keeping tabs on how many tasks are started in a day. To find out more, visit this page.